2d20 – Should governments have access to private data? July 28, 2017 0:20:34 Download (MP3) Your vote: Debate with us! One month – 4 debates! It’s been busy these past weeks. Ramping up for this year’s summer season a lot of work piled up but that did not stop Sebastian and Dirk from recording a healthy set of debates. And today it happened – we published our 20th debate! And it was a heavy topic, touching everything from civil liberties to big politics, from history to modern technology. Interestingly it fit the range of topics we covered since the last newsletter. In 2d17 we debated if dealing with all your mails everyday is a pointless exercise. 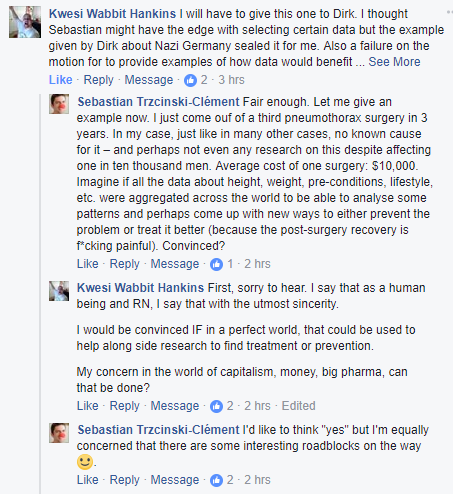 Both, Sebastian and Dirk have a reputation to close their days on top of their mails, yet they both defend very different philosophies (and in this debate the random assignment reflects accurately their real positions). In 2d18 we wonder if the programmers are an overhyped commodity and in 2d19 we ask if responsible citizens should follow the news or maybe would be better off without them.